Shotokan Karate Club is a perfect place for adults, teens and children to learn Karate in a family friendly environment. Whether you are a beginner who just wants to improve and develop basic skills, or a practitioner who want to expand his skills and techniques to a much higher level, Shotokan is an appropriate place for you. At this Karate Club, individuals are taught about the most effective methods of self-defense, and provide proper training on stress management and aerobic exercise. 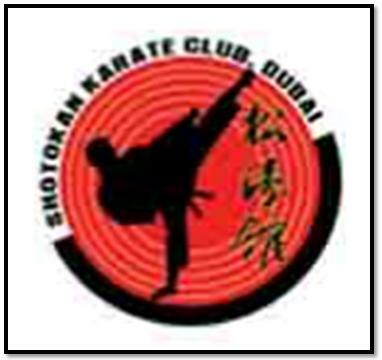 This club is approved by UAE Ministry of Youth and Sports and UAE Taekwondo & Karate Federation. They have the dedicated and committed instructors whose main objective is to provide adequate training and guidance on Shotokan Karate. In addition, the training classes are closely monitored and taught by professional instructors. - Introductory classes are given to learn the three K’s of Karate (Kihon, Kata, and Kumite). -Organize annual Karate summer camp and various school supported events. Shotokan Karate Club remains open for six days a week. From Sunday to Thursday, its operational hours are between 5pm to 8:30pm, whereas on Saturdays, its timings are 10am to 11am and 5pm to 8:30pm. The centre remains closed on Friday. Since there is no metro station in the close proximity of Shotokan Karate Club, so a visitor to this club has to hire a cab or go by bus in order to reach there.